The tremendous benefits afforded by our ability to customize switching systems, like our switched filter banks, Hi-Power RF Switches and switch matrices. 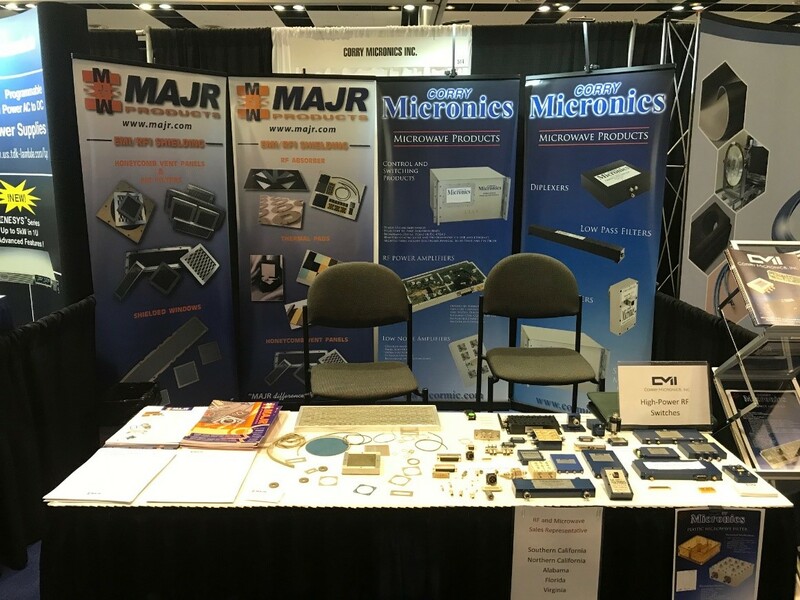 The Corry Micronics products that garnered the most attention was our 5G filters where we discussed the different types of filters that we offer for our customers. Some companies were looking for small form factors while others needed the best performance available. At the show we discussed all types of filters such as LC, Cavity, suspended strip line and waveguide. There is not one solution that is best for our customers’ needs which aligns well with our customization approach to all products that CMI designs and manufactures. Customizable High Power Switches: offering peak power handling up to 5 kW and frequency ranges from 12 MHz to 18 GHz with switching speeds less than 180 ns, customizable switching ports, and TTL control. At CMI, we provide uncommon value to our customers, not only in the products we develop, but in our commitment to working hand in hand with you to develop improvements that will exceed your expectations. at 724-940-7556 to learn more about our services or to discuss your specific project needs.